At 30 years old, Bobby Hornback was working as a building contractor in Tulsa, Oklahoma. In September of 2005 his life changed forever when a fall from a tall building that he was working on left him with a C4-5 neck fracture. Bobby lives alone and only receives SSI benefits. After his injury Bobby developed very severe stage 4 pressure sores, which required surgery. 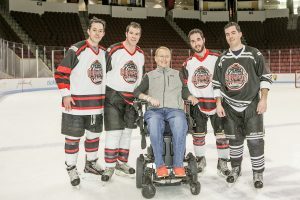 While researching on the internet, he found the Travis Roy Foundation and was impressed because it was one of the only foundations he found that provided grants to individuals. 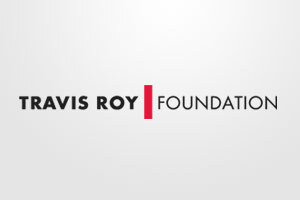 After reaching out to the Travis Roy Foundation, he received a grant in September of 2007. The $2800 grant was used to purchase an Aquila alternating pressure wheelchair cushion to help heal the pressure wounds he was suffering from. The pressure cushions are designed to guarantee pressure relief as well as increase blood flow and stimulate circulation to help the sores heal. As a grant recipient himself, Bobby has the first-hand knowledge of the immense impact that the Travis Roy Foundation harvests. He once received a gift, reaped its healthy, life changing benefits and, because of that, gratefully grows stronger with each day.